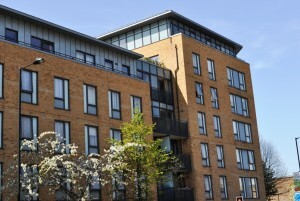 Leaseholders can feel ripped off by high service charges. Here’s five quick tips - in priority order – to help you achieve better value for money. It’s bad form to use caps lock but number one by a country mile is CHECK THE LEASE. If the lease doesn’t allow it then your managing agent and/or landlord shouldn’t be doing it. A good example might be where the property management company charges an ‘administration charge’ (usually around £100) when/if you seek permission to sublet your leasehold property. Managing agents often chance their arm in the hope the leaseholder doesn’t bother to contest the charge. But a quick look through the lease will confirm if the fee is legitimate. Remember: if it’s not in the lease your landlord can’t charge for it. Form a group. Solidarity is stronger than steel. When your landlord/managing agent learns his or her residents have formed an organised group they will take you far more seriously. And take far fewer punts on charging unfair fees. THREE - Get acquainted with leasehold legislation. There’s no need to become an expert – just a broad brush grasp will work wonders. There are plenty of books at your local library plus there’s the internet. Just a little bit of technical knowledge will go a long way in helping you and your neighbours achieve fairness. It’s amazing the effect quoting specific legislation has on your block’s freeholder or managing agent. Appreciate the miracle and wonder of the word “reasonable”. You’ll find if you progress even a little bit on number THREE (above) the legislation puts the word firmly on your side. The law says fees charged by your landlord must be “reasonable”. If you sense they are not: contest them. A little bit of technical knowledge will go a long way in helping you and your neighbours achieve fairness. It’s amazing the effect quoting specific legislation has on your block’s freeholder or managing agent. Finally remind your landlord that there’s lots of competition looking to win your business as leaseholders. 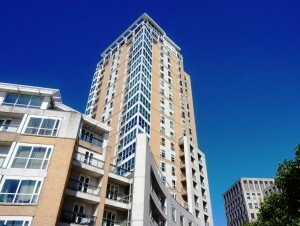 In most circumstances leaseholders have the legal right to Freehold Purchase. Plus most leaseholders will also have the legal Right To Manage often called RTM where they take over management of their homes from the freeholder. Make sure your landlord and managing agent know you are aware of your rights.